Basant Panchami falls on the fifth day of month of Magha according to the Hindu Calendar. The name Basant Panchami marks the onset of the spring season in India and the festival is celebrated in different ways in different parts of the country. Basant Panchami also initiates the preparations of Holika as the festival of Holi follows 40 days after Basant Panchami. Bright flowers and lush green crops all around accompanied by sunshine set the stage for celebrations of this festival which generally starts with worshipping Goddess of Knowledge, Music & Wisdom – Maa Saraswati. Students, artists and people from different walks of life fast on this day to pay honor to the Goddess. The idols of Goddess Saraswati are decorated with white clothes, and food and clothes of yellow color are presented as offerings in the temples. Educational institutions and artistic clubs dedicate this day to the Goddess Saraswati. Basant Panchami is also considered a blessed day to begin education of young kids deeming Goddess Saraswati’s blessings on this very day. While in Central, Eastern and Southern India, the festival is celebrated in temples and with Saraswati Puja; in North India, it is celebrated outdoors with kite flying, dancing and exchanging sweets. 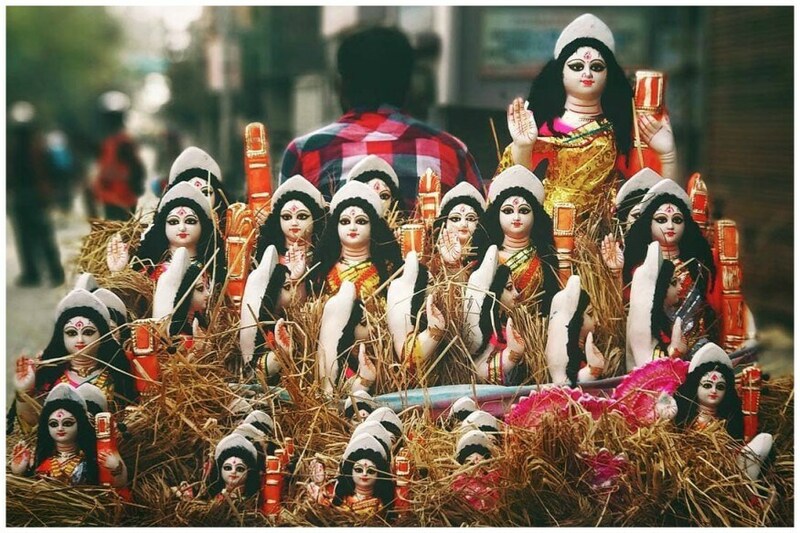 Apart from worshipping Goddess Saraswati, Basant Panchami is also celebrated as a day of love, and special Ras Lilas celebrating love of Lord Krishna and Radha are arranged for couples in many parts of the country. According to legends, on the night of Basant Panchami, Chandradev or the moon stood still to watch the Ras Lila or the heavenly dance of Lord Krishna, Gopis and Radha at the Govardhan Parvat. The place came to be known as Chandra Sarovar and ras-lila is organized with great fervor to mark Vasant Panchami every year.